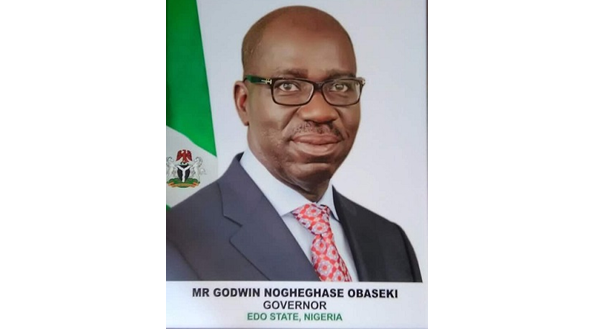 The Edo State Governor, Mr. Godwin Obaseki, has said that the state’s environmental policy will streamline government action to address climate change and help in protecting the ozone layer. Governor Obaseki said this in commemoration of the International Day for Preservation of the Ozone Layer marked every September 16, by the United Nations and other relevant multilateral organisations. The governor, who said that the state’s Environmental Policy, which is being developed in partnership with the United Nations Industrial Development Organisation (UNIDO), will soon be unveiled. He noted that the state is keen on streamlining efforts in protecting the environment and beating back the impact of climate change. According to him, “We are once again reminded on this day, the need to protect the ozone layer, as outlined in the Montreal Protocol. We have seen that the increased awareness on the impact of the depletion of the ozone layer has helped to mitigate environmental hazards that would have spelt disaster for life on earth. But at the same time, we must not lose focus of the impact of climate change and the need to mobilise all stakeholders to play their roles in protecting the environment. He said that this year’s theme for the commemoration, “Keep Cool and Carry On: The Montreal Protocol,” aligns with the state government’s action plan on the environment, noting that “with the increased focus on protecting the environment as exemplified by the synergy with Proforest, an environmentally conscious coalition, we stand a good chance in preserving the ozone layer and curbing the adverse effects of climate change. According to the UN, “In 1994, the United Nations General Assembly proclaimed 16 September the International Day for the Preservation of the Ozone Layer, commemorating the date of the signing, in 1987, of the Montreal Protocol on Substances that Deplete the Ozone Layer.